As age catches up with us you might expect more and more people to be answering “frequently” to this question. 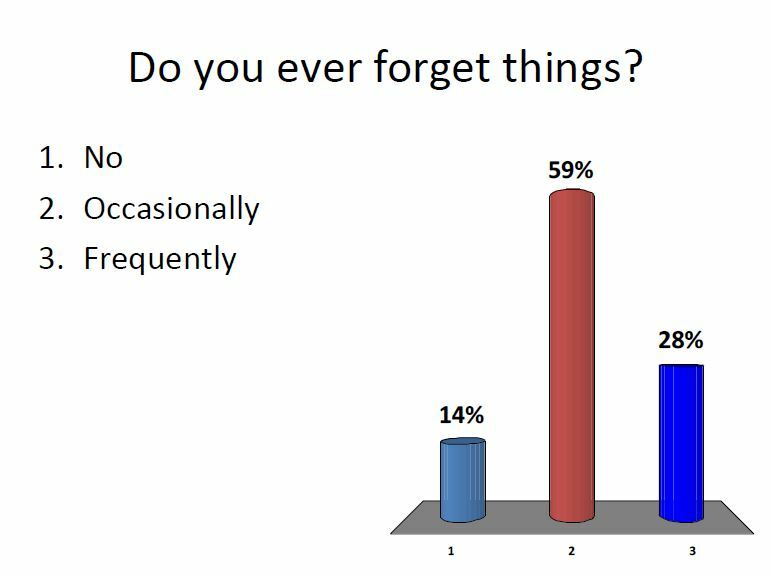 To that extent it’s amazing that 14% of people never forget anything and pleasing to think that more than half of the group only occasionally forget things. Footnote: Nonetheless as forgetfulness is increasingly seen as a mark of old age, it must be important to harness the use of already available technology to offer people a “reminder APP”. The Reminder”APP’s” is or has to be a kindly, but gentle friend! Will you Do?